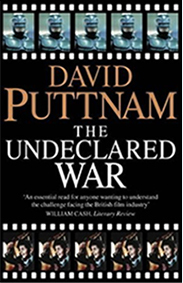 The acclaimed producer of such classic films as Chariots of Fire and The Killing Fields, David Puttnam has written two books that will change our understanding of the movie business. An account of the way in which Hollywood has achieved almost total sovereignty over the world's movies.It tells of a battle which has seen Hollywood establish itself as an economic force. 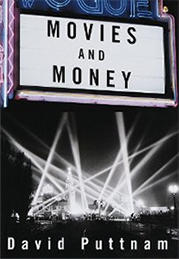 Movies & Money: A fascinating behind-the-scenes history of the movie business, and of the unique and frequently unholy alliance between commerce and art that underpins it. Puttnam, David. “Learning to Be — Do Our Education Systems Do Enough to Enable Learners to Flourish as Independent, Autonomous and Well‐Balanced Individuals?” European Journal of Education 50.2 (2015): 120. Puttnam, David. “What makes us human? David Puttnam celebrates the Olympic spirit.” New Statesman NUMB 5159 (2013): 30-31. Puttnam, David. "News: You want it quick or good?." British Journalism Review 14.2 (2003): 50-57. Puttnam, David. "Communication and education." The Ninth Colin Cherry lecture. Imperial College, London. June (1996). Puttnam, David. "Citizens of the information society." Journal of information science 22.1 (1996): 1-11. Puttnam, David. "Information in the living society." RSA Journal 144.5472 (1996): 33-42. Puttnam, David. "Design for a future space: the changing nature of design in an age of digital technology." RSA Journal 144.5475 (1996): 51-57. Puttnam, David. "1. Myths of the Countryside: obstacles to progress or bastions of defence?." RSA Journal 138.5409 (1990): 625-629. Puttnam, David. "Backing into the Future." RSA Journal 137.5392 (1989): 221-231. Puttnam, David. Foreword. Getting into films & television. Robert Agnell. 2004; 1997; 1995; 1991. Puttnam, David. Foreword. Young people, creativity and new technologies : the challenge of digital arts. Ed. Julian Sefton-Green. 1999. Puttnam, David. The Creative Imagination. What Needs to Change. Ed. Giles Radice. 1996. Puttnam, David. Foreword. Budgets and markets : a study of the budgeting of European film. Terry Ilott. 1996. Puttnam, David. Foreword. A place of work. Ian Beesley. 1995. Puttnam, David. The producer. The movie business book. Ed. Jason E. Squire. 1992: 33-43. Puttnam, David. Film-Maker in Wonderland. The Third Age of Broadcasting. Ed. Brian Wenham. 1992. Puttnam, David. Foreword. Into harmony with the planet: the delicate balance between industry and the environment. Michael Allaby. 1990.